Police in Methuen, Massachusetts, continue to search for whoever shot and killed a family dog Thursday afternoon. 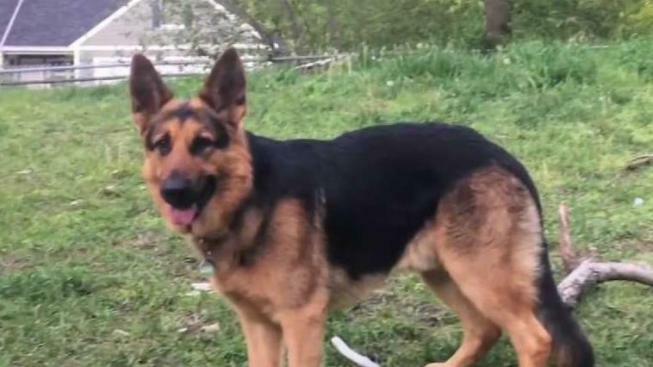 A day after a family's beloved German shepherd was shot to death, police continue to search for the dog's killer as neighbors keep their pets' safety in mind. Methuen police said the dog's owner returned to her home around 1 p.m. Thursday and found the pooch, named Moose, shot in her backyard. 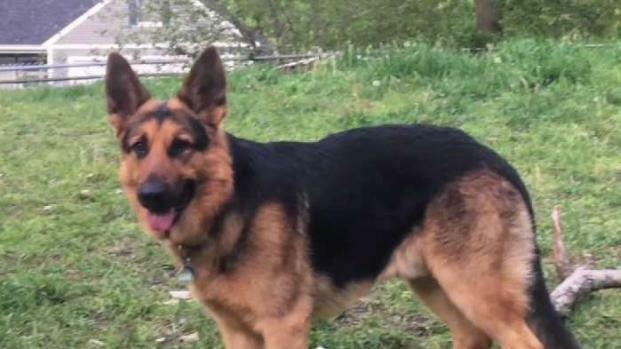 A second of the family's four dogs was seen laying on top of Moose, possibly to comfort him as he was dying, according to officials. "This is a tragic crime and is treated as seriously as any other violent crime," state police said on Twitter. "Law enforcement must have no tolerance for animal cruelty." The other three German Shepherds were unharmed, but one dog was treated for a graze wound. It is unclear if that injury is related to the shooting. Authorities are continuing to search for answers in Methuen, where a family's dog was shot and killed on Thursday. "Oh my god. I feel bad for the family," Magdi Mikhel, a nearby business owner said. "I feel very bad." Mikhel also has two German shepherds, which she says she keeps close by. "I always keep my dog inside my fence," Mikhel said. "Always be in my car or in my fence." The same goes for neighbor John King, who has a dog named Teddy. "He's always with me. He comes everywhere with me. He's my little protector," King said."